The Lodge was highlighted as a spectacular location overlooking the stunning Cascades along with other "Real Weddings". The Lodge "has a rustic but sophisticated atmosphere". Here is what all is included with your stay. Please click image to enlarge, and see further details below. 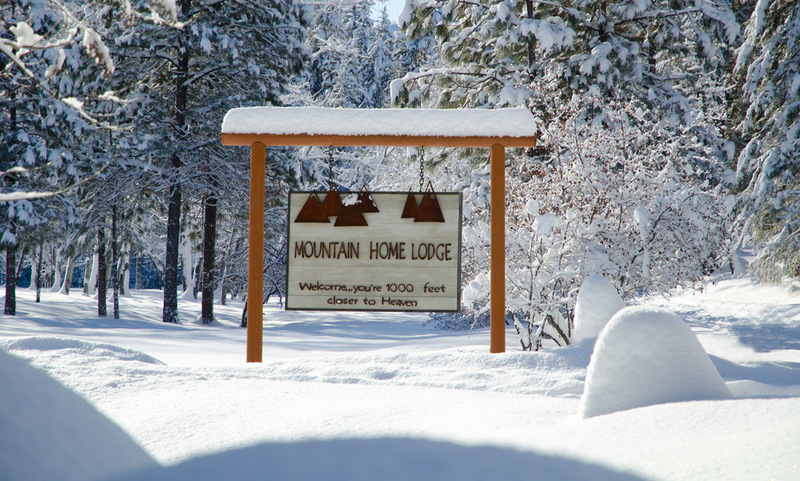 Mountain Home Road is closed in the winter due to it's 23% grade, thus the Lodge will transport you from our private parking area at the base of Mountain Home Road located just 1 mile from downtown Leavenworth. 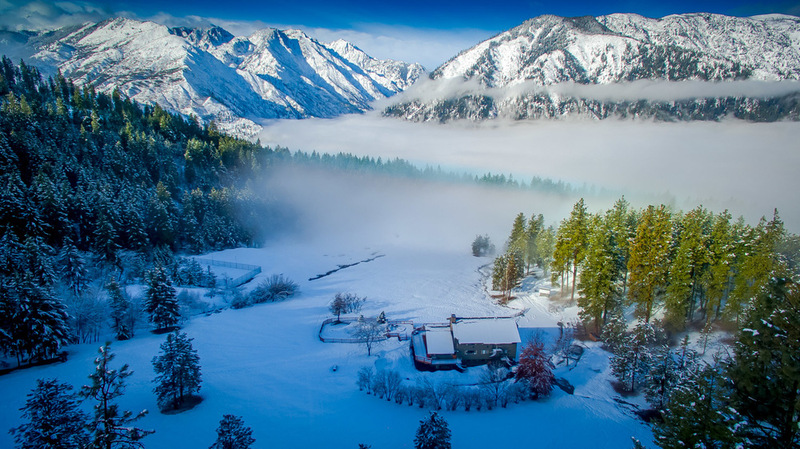 From there you will be transported 2.5 miles and a 1000 feet with a spectacular view of the Leavenworth valley in one of our custom vehicles. Here you will see why MHL is considered "Leavenworth's Destination Hotel". Our nightly 4-course gourmet dinner event beginning with Chef's selected appetizers and a complimentary glass of fine wine, beer or sparkling cider. Your gourmet dinner follows served to your private table in the cozy dining room with crackling fire and candlelight for a special evening. A hearty lunch buffet to welcome you back after your morning excursions outside featuring freshly made crafted sandwiches, warm homemade soup, freshly baked cookies/brownies, and /or fresh fruit, chips and accompaniments. Backcountry X/C Skies, boots and poles. Toboggans and sleds for our 1700' sledding hill. Snowcat or Monster 4x4 Van Transportation to the Lodge from our base parking area. 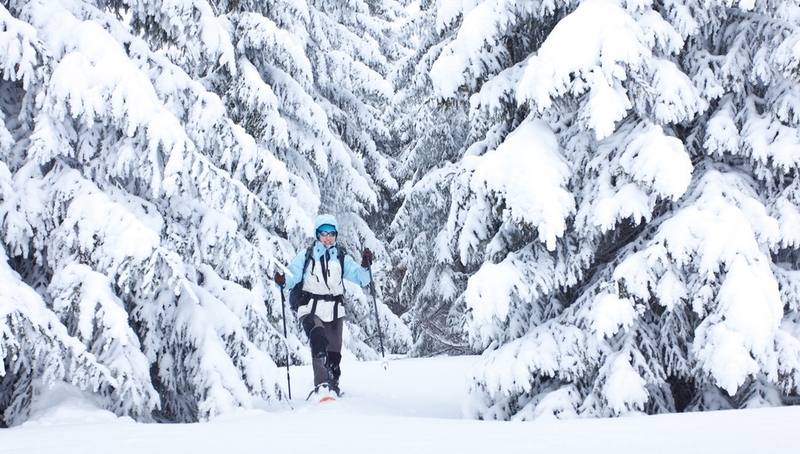 Back country snowshoeing and cross country skiing...click here. 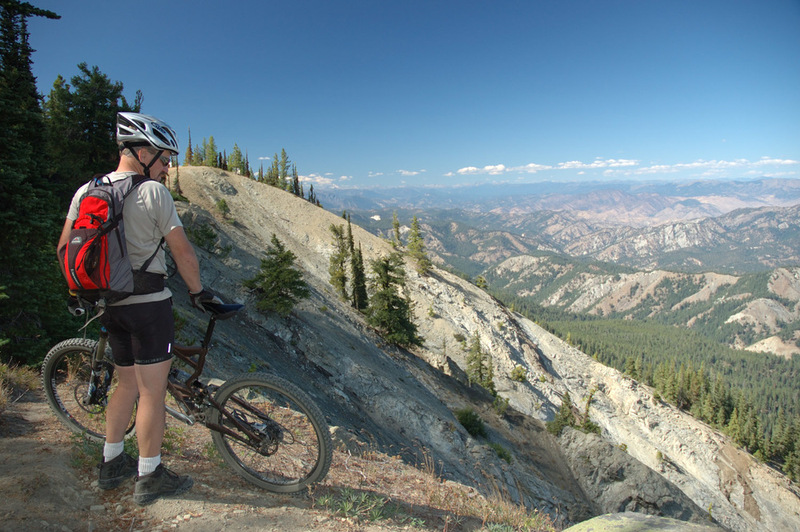 See Brad for a trail map and suggestions for biking here at the Lodge and the surrounding area. Click on photo further details, trail maps, etc. After a fresh fallen snow view of the resort from the meadow. 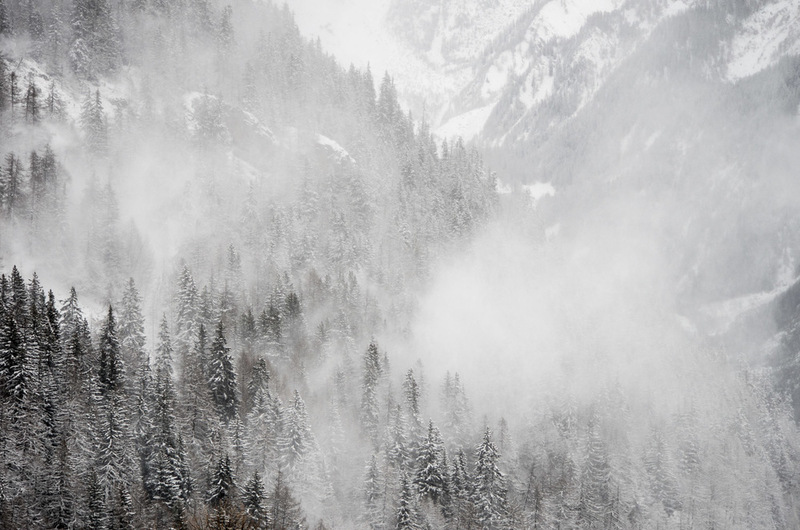 Restore and soothe your mind, body and spirit escaping to the mountain. Unwind and relax in the comfort of our grand room with massive wood fireplace. Thrill down our 1,700 sledding hill! 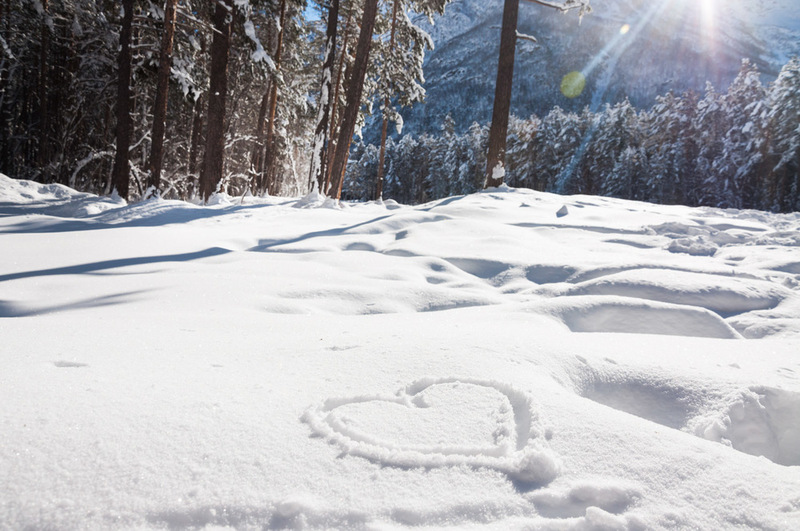 Build a snowman, throw snowballs or make snow angels. Be a kid again! Only 12 accommodations and an expansive wilderness to explore right here! Cindy's corn chowder is our most requested winter soup! Chef offers an afternoon pick me up for our guests. Indulge in skillfully created desserts like our chocolate flourless cake! may include your lunch packed to enjoy al fresco! 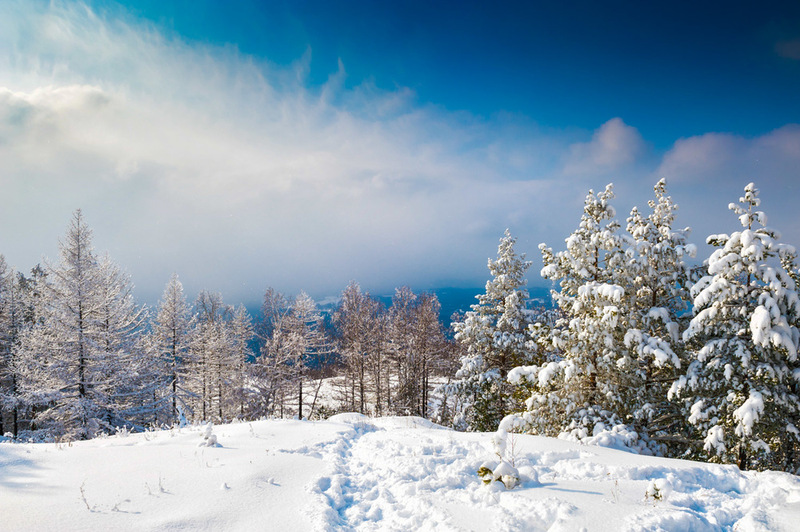 Put on your own warm, comfortable boots and jump into our Atlas snow shoes for a great trek through the forests. Take along a set of ski poles to help you up the hills and the Lodge will provide convenient water bottle packs for your adventure. 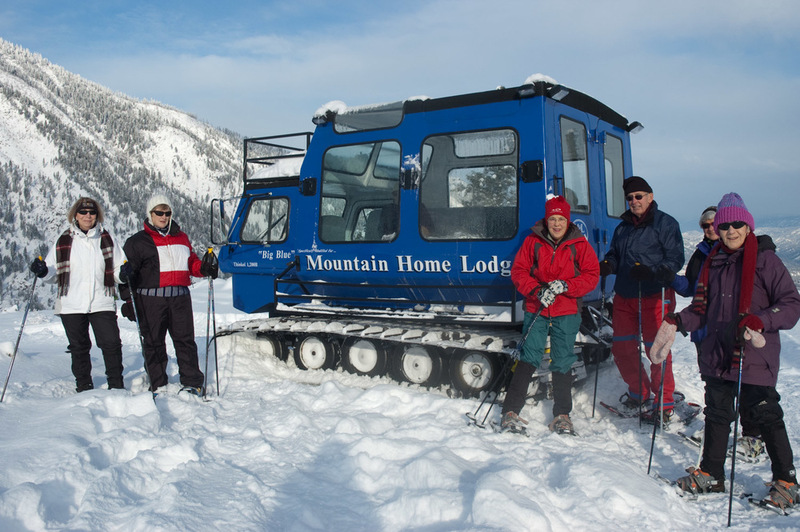 We have over 10 miles of trails designated for snow shoeing near the Lodge. 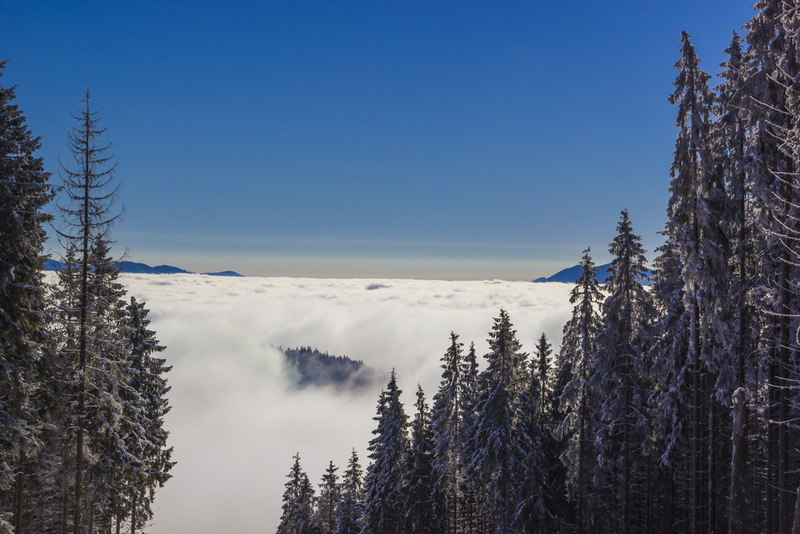 Or you may wish to snowshoe up Wedge Mountain, approximately 17 miles in distance and over 3,500 feet in elevation gain. With no snowparks to access the area, you will more than likely have the the mountain to yourself. Enjoy the spectacular views of Levenworth and the Columbia River Valley as your reward. Makes for nice back country skiing. 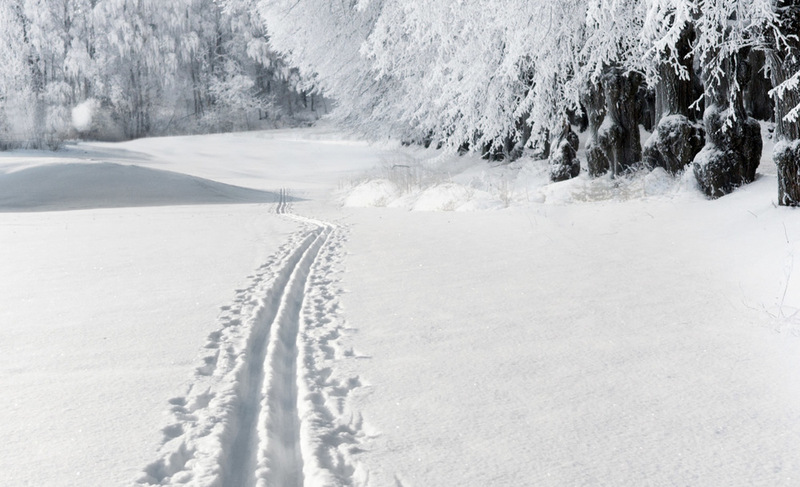 We have over 20 miles of trails for you to ski on. Use of our cross country skies, boots and poles is included in your room rate. 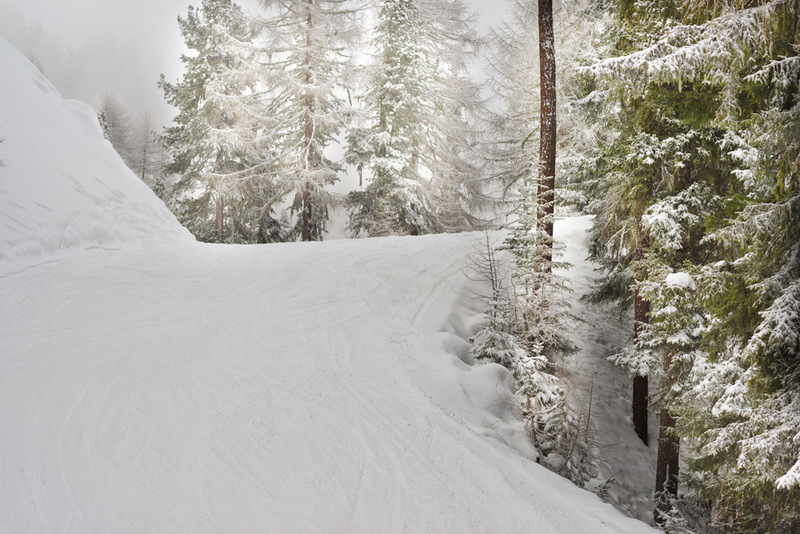 The staff will provide you with our trail map and suggestions for a great day of skiing. The Lodge can provide convienent water bottle packs for your adventure and will be happy to provide you with a complete lunch if you should so desire. For the ultimate ski, talk with Brad about being transported up the back side of Wedge Mountain. 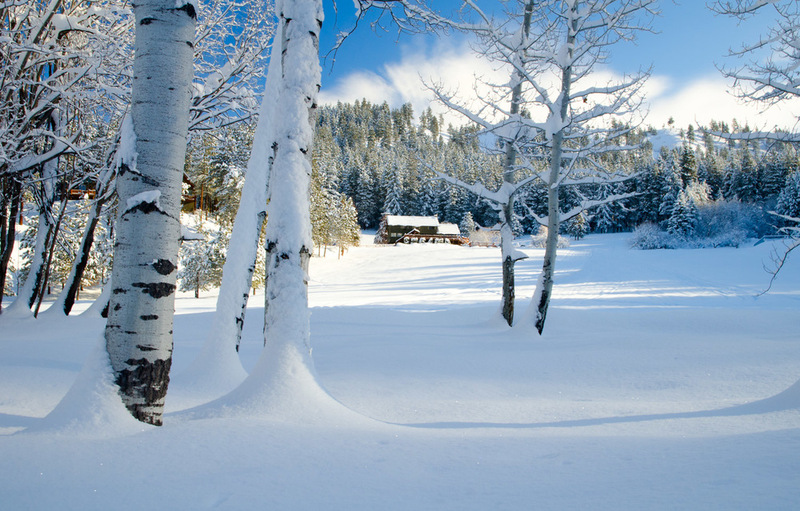 This excursion brings you 2500' above the Lodge into the pristine back country. This can make for a wonderful day long trek and best of all, its almost all down hill back to the Lodge. With no snowparks to access the area, more than likely you will have the the mountain to yourself and the spectacular views of Leavenworth and the serenity of the Cascades. The cost for this shuttle is dependent on time and distance. Heading out for the day? Take along a packed lunch for a perfect outing. 1,700'... that's over a 1/4 mile long! Micro spikes are a great way to get a run in.